How did the tradition of wearing a wedding band as a symbol that one was married begin? 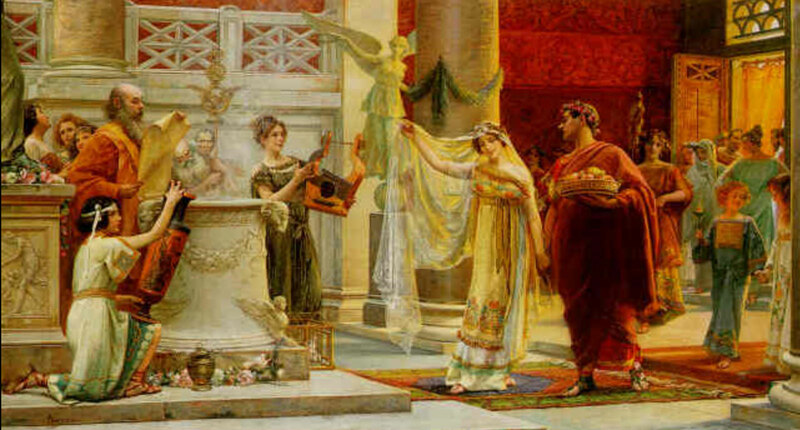 The wedding ring dates back to ancient Egypt, more than 3,000 years ago. Egyptian society saw the circular shape of the ring as a symbol of eternal love – one with no beginning and no end. Similar to present day traditions, the Egyptians wore the wedding band on their fourth finger on the left hand. Wearing a wedding ring served as a physical sealing of the marriage and a symbol of commitment. This concept has been passed down for centuries and spread throughout many cultures. Unlike the more romantic Egyptians, wherein the ring symbolized love, the ancient Romans viewed the wedding ring as a symbol of possession. A woman who wore a ring signified that she was a wife who belonged to her husband. We have the Archduke Maximillian of Austria to thank for the traditional diamond rings with which many men propose today. In 1477, the Archduke offered his beloved Mary of Burgandy a diamond as a betrothal gift – the first ever recorded diamond engagement ring. Be sure to check out our last installment: Wedding Traditions and History: The Ring Finger.